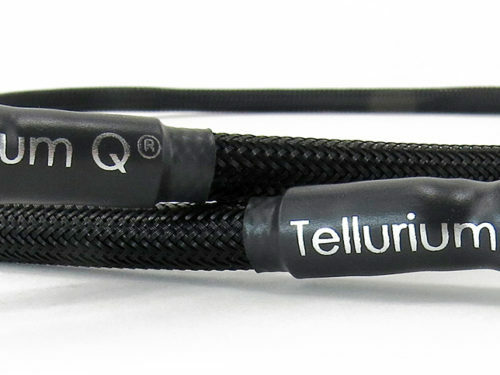 Tellurium Q is the first range of cables specifically engineered to avoid phase-distortion. 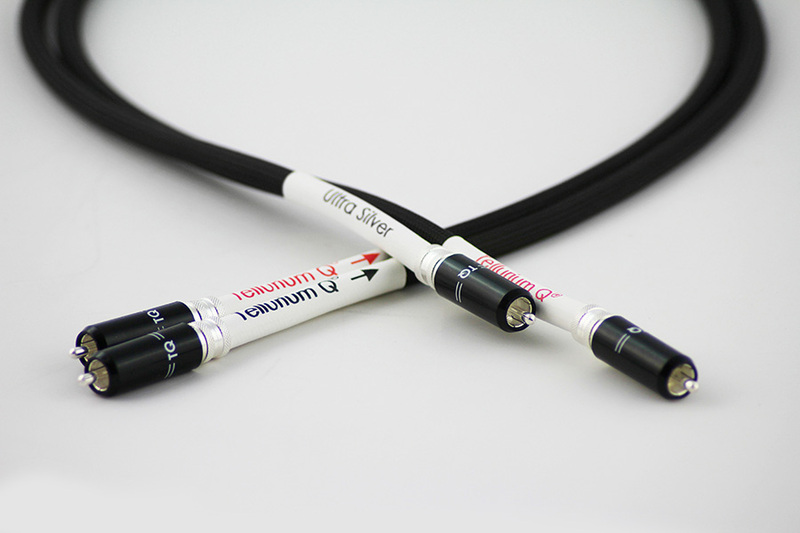 To achieve this goal, this made-in-England cable has received attention to every parameter, both electrical and mechanical. Conductor material, construction, doping and geometry; dielectric properties and vibrational damping – these along with perfectly balanced inductance, capacitance and resistance result in a cable range with unique virtues. By avoiding the time-smear and colourations that are caused by phase distortion, the nuances, dynamics and rhythmic insight of the performance are preserved. They produce an extensive range of cables, including speaker cable, interconnect cables (analogue and digital including USB) and power cables. 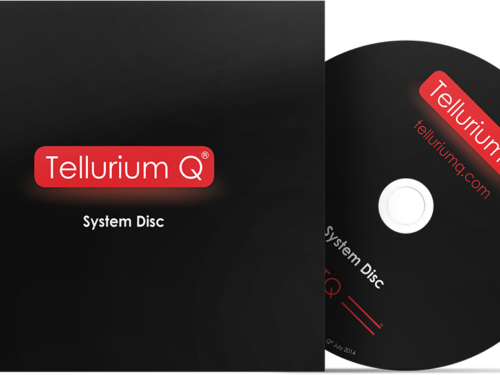 As mentioned above when Tellurium Q first launched, the primary focus was dealing with phase-distortion. The problem with this is a simple one; all of the materials (not just the wire!) in the path of a signal will act as an electronic filter which results in timing shifts in the cable and poorer sound quality as a result. 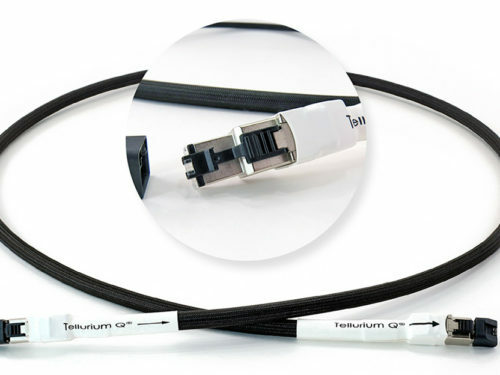 Tellurium Q have combatted this by designing a range of cables which are intended to be as transparent as possible. They paid huge attention to this, listening at every stage of the R&D process and specifying unique raw materials for every application, even the chemicals to be included (or not) in a plating bath! 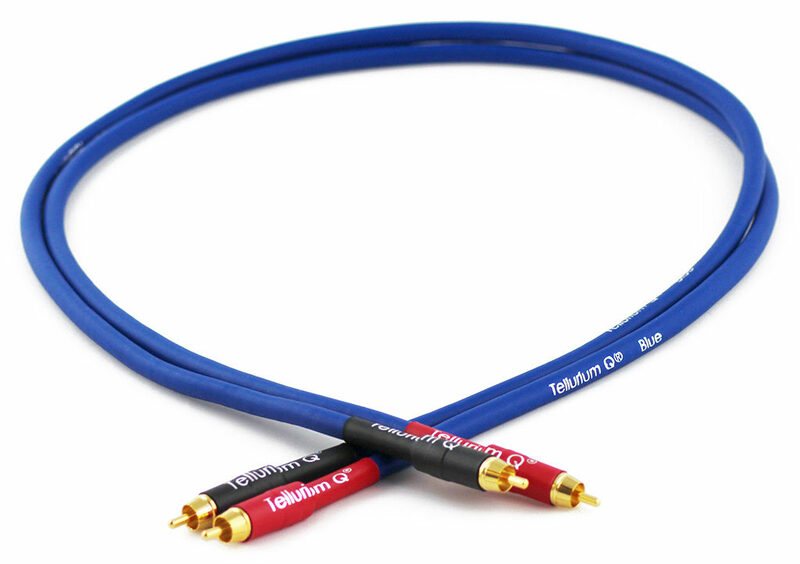 Because different equipment has different sonic properties, and taking into account personal preferences, Tellurium have designed 3 distinct ranges of cables with different sonic characteristics to take into account customers demands and the vast range of equipment that is out there! 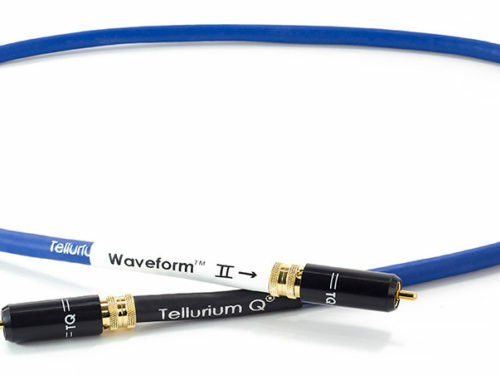 Depending on the tonal balance of your system and the sound you like there is a Tellurium Q cable to fit the bill. So if your system requires more warmth or you want to make it much more revealing the cables you need will be quite different. 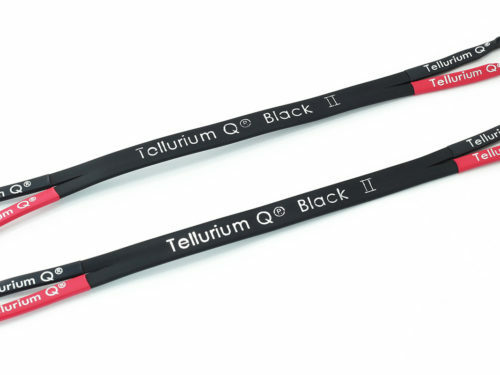 Because the Tellurium Q range is quite extensive and 3 ranges overlap one another in places I quite often get asked about the overall hierarchy of the cables, how does Ultra Black compare to Blue Diamond etc. The following diagram is incredibly useful in outlining the range from top to bottom. 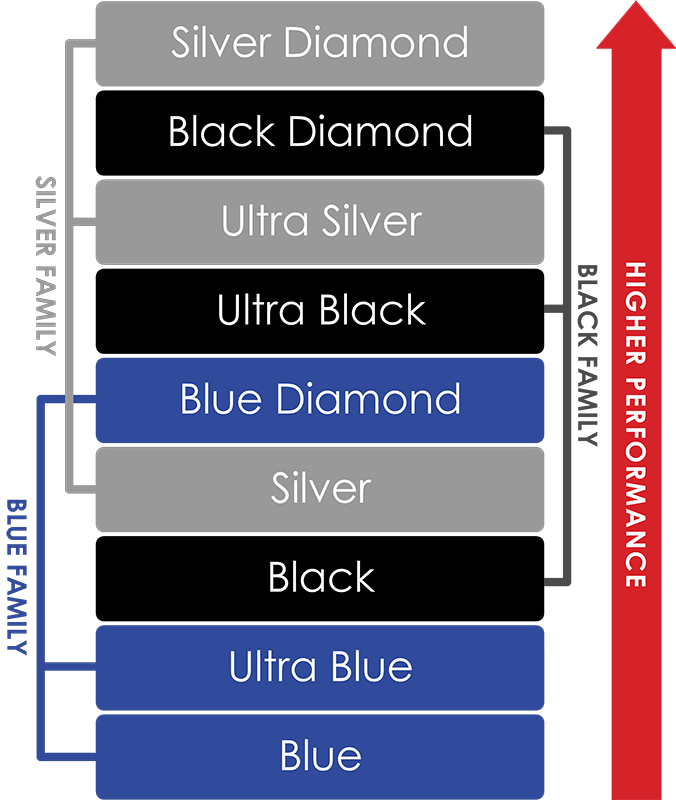 Because of the different sonic properties of the Blue, Black and Silver one important factor to stress is about mixing cables. There is absolutely nothing wrong with mixing up the 3 colours of cables together in a system, but it is recommended if you want to mix them up, Blue and Black can go together and Black and Silver can go together, but avoid mixing Blue and Silver because tonally they are quite different to one another. This is really the only exception to mixing them all together. The Blue range of cables is ideal if you have a system which can be a little aggressive or harsh sounding and you want to rein it in to make the presentation more relaxed and natural. Don’t presume that this means that the Blue cables are all laid back and sound boring, far from it. 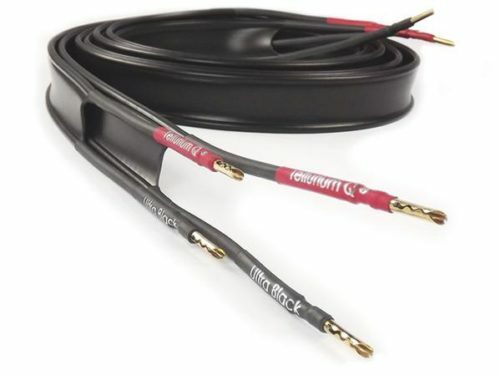 There’s no such thing as the best interconnect or the best speaker cable. What works exceptionally well in one system may not work at all in another. This is where the knowledge and experience of a good dealer pays dividends and where a proper demonstration is pivotal. I’ve done demonstrations of the Blue against other brands of cables and initially some of the other cables may sound more “exciting’ or more ‘informative” when you do a quick demonstration that may last for an hour or so. But that so-called exciting sound can become tiresome or fatiguing over extended listening sessions and that is never a good thing in the long run. A system should sound natural, focused and enjoyable, if you have to turn your system off after an hour or so of listening you’ve got the wrong mixture of components! I’m sure lots of cables are engineered to sound exciting in the demo room when you have a quick listen! But maybe I’m just being cynical! 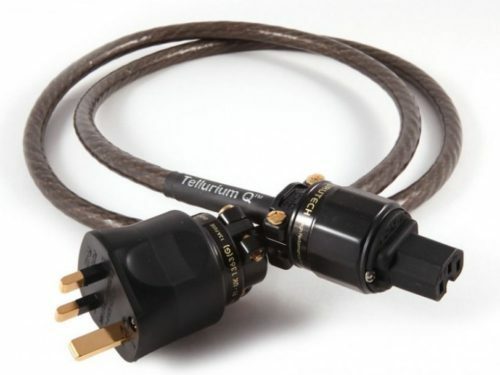 The Black range of cables from Tellurium is without doubt their most popular and for good reason. If you have a well balanced system and you are wanting cables that will show off your systems ability to render recordings with superb realism and incredible resolution whilst keeping the presentation natural, coherent with no harshness or aggression the Black could be just for you! Black will take you closer to the music and the performers. It will give you a wonderful sense of space, texture and clarity whilst remaining natural and not forced or bright in any way. 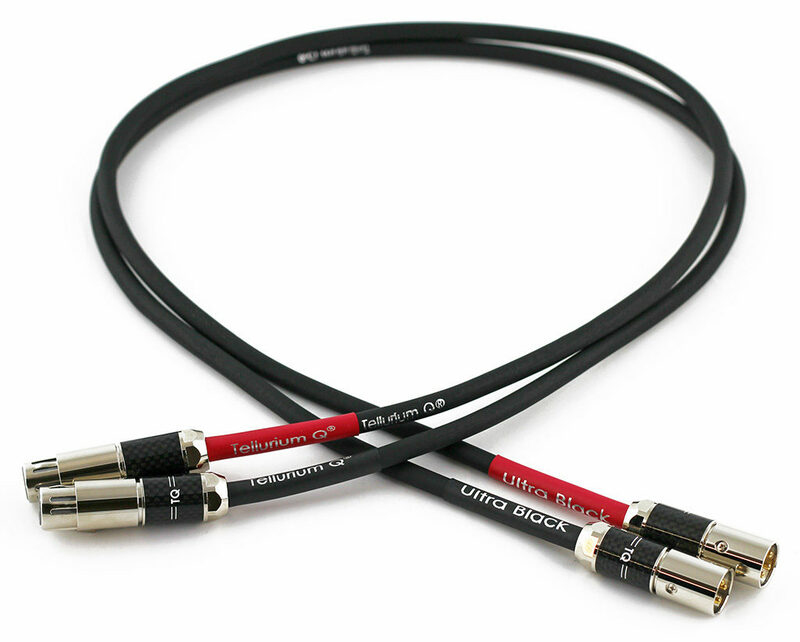 This range won countless awards and for good reason, I’ve lost count of the number of times people have looked at the black speaker cable and have commented that it doesn’t look particularly special, or it’s not very thick or words to that affect. Then they borrow some and invariably they come back to me wanting to buy it! If you are a detail retrieval fiend the Silver range will be right up your street. Totally uncoloured, acting as a wide open channel sounding unforced, vivid and dynamic with phenomenal resolution and transparency. All this while sounding extremely analogue and coherent, from the exceptional top end extension to bottom with finely detailed, separated bass notes. The silver range will really show what your system is capable of delivering, it’s a fabulous group of cables and if you are wanting your system to be as transparent as possible whilst remaining natural and well balanced it something you definitely listen to! They work beautifully with tubes such as VTL and electronics that are full bodied and well rounded in character, like Vitus. 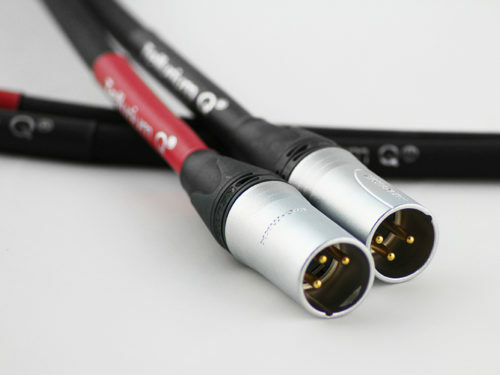 One thing that works exceptionally well integrated with the Silver range of cables is Entreq, by allowing a ground box to lower the noise floor and remove pollutants present in the signal path, resulting in a reduction in coarseness and grain, improving musicality and making the sound more natural and organic, by doing this and integrating some Silver cables you can obtain maximum transparency whilst still being organic and almost analogue in presentation.